Anthony Joshua wants his next fight to be staged at Cardiff’s Principality Stadium despite the prospect of facing Kubrat Pulev in Las Vegas. The WBA and IBF heavyweight champion’s next title defence is to be announced imminently, with only the location and date to be decided between Cardiff on October 28 — the favourite — or Vegas’ T-Mobile Arena on November 11. 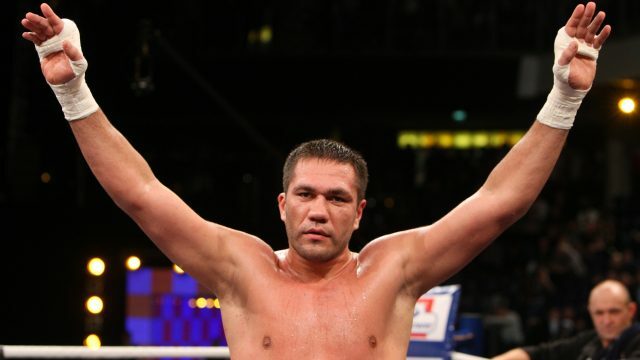 His team remain hopeful Luis Ortiz, the mandatory challenger to his WBA title, and the governing body will remain patient so that he can honour a prior agreement with the IBF and Bulgaria’s Pulev without being stripped. He is regardless willing to risk that development in the hope he can fight Ortiz thereafter, but despite a rematch in Vegas with the retired Wladimir Klitschko once appearing a near-certainty, a domestic fight is his biggest concern. “I’m not turning Vegas down, I’d go, but for the people it’s easier,” Joshua, 27, told Press Association Sport. “My heart always tells me the UK, because a lot of people that have supported me since the amateurs are from here, and it gives them a chance to come down and watch a heavyweight title fight without having to travel. “I know people will always make the effort but sometimes you want to make it as easy as possible for them. “Klitschko’s unfortunately retired: it was a fight I was looking forward to again, but everything happens for a reason and now I have to go and compete with one of my mandatory challengers. Shortly after Klitschko announced his retirement the WBA ordered Joshua to defend their title against Ortiz, and the Cuban’s manager insisted they could be ready for November 11. 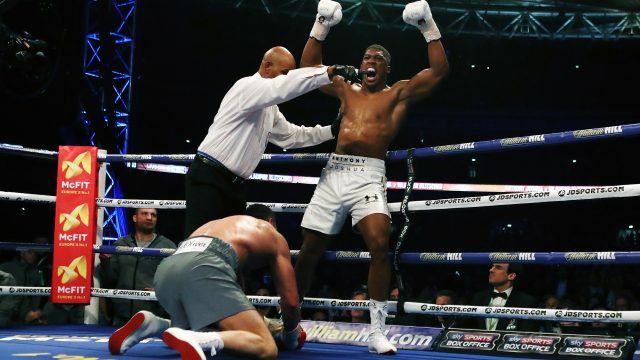 They could yet strip Joshua amid him persisting with the Pulev match-up, but Joshua hopes to retain both of his titles and is willing to then face the dangerous southpaw. “I’d fight Ortiz next if he was the next person in line before Pulev,” he said. “My team, we sit down and talk, figure out what’s best and move forward. I love fighting for the belts; it’s history, but what’s advised for me and my career in the long term has to be weighed up. “I would definitely fight my two mandatories because they’re exciting: it’s just if one’s patient or wants the belts now. People just say they want to fight me: they don’t really want to fight me, just the rewards that come with fighting me. They’ll get their turn. Anthony Joshua was speaking as part of StubHub’s The London Manathon campaign together with Eddie Hall, World’s Strongest Man. Tickets to see Eddie Hall at the Giants Live: Official World’s Strongest Man Tour Finals are available on Stubhub.co.uk.